Maia Gifts Blog: The Ultimate Festival Accessories from Maia Gifts! The Ultimate Festival Accessories from Maia Gifts! Festival Season is well and truly here and we have a fabulous range of must have accessories to make your weekend one to remember. Choosing your festival bag and what to put in it takes careful consideration, particularly with the unpredictable British summer time. Our French Daisy Print bag is a great size, has loads of compartments and zippy bit and most importantly is made from waxed cotton making it shower proof and easily cleaned! Perfect! So what else do you need to pack into your French Daisy Print Bag? Everything from girly hip flasks, sparkly make up gems and emergency money stashes - that's what! 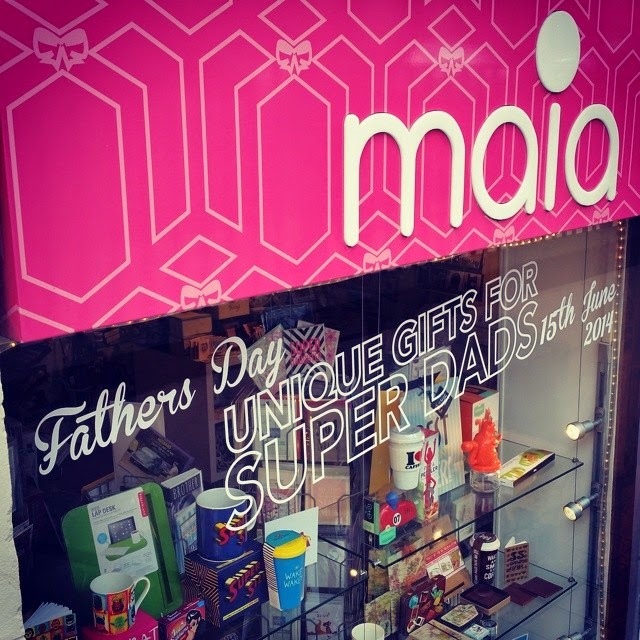 We've got it all covered at Maia, all you need to do is sort the carry out! Everything available in our Glasgow store or online at www.maiagifts.co.uk. We have lots of other festivals accessories so do pop in and see us!